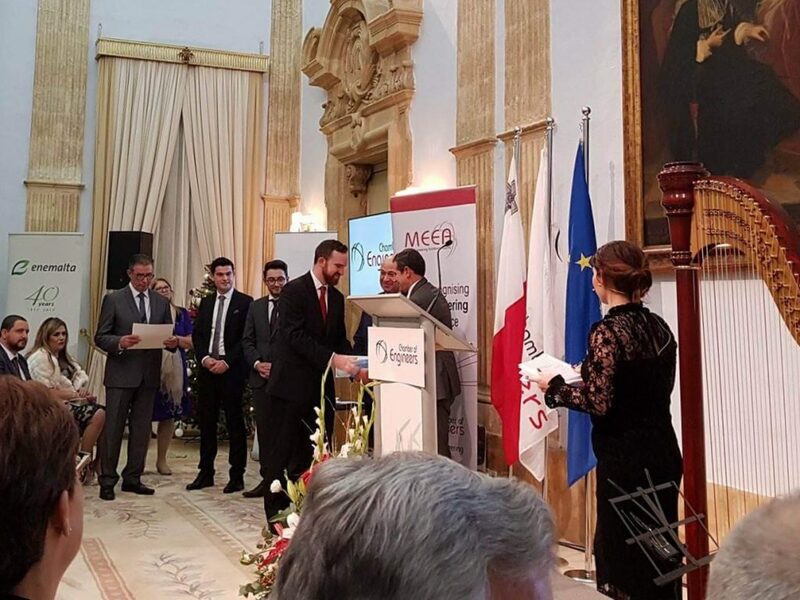 We’re proud to announce that our very own Daniel Farrugia has won a Malta Engineering Excellence Award for his undergraduate dissertation: “Analysis of the Wind and Wave Induced Dynamic Response of an Offshore Energy Storage System”. Daniel’s research played a crucial role in the design of the first FLASC prototype, as well as establishing some key relationships for the full-scale system. It was supervised by Prof. Tonio Sant and Dr Daniel Buhagiar within the Department of Mechanical Engineering at the University of Malta. The work culminated in peer-reviewed conference and journal papers, and has already been awarded the 2017 Royal Institution of Naval Architects (RINA) Student Naval Architect Award. Congratulations Daniel, this was in my mind too, since one year but your smart mind realized.